What is usually used as a German football chant in our case signifies excitement at the prospect of academic exchange with our colleagues: at the beginning of July, the entire network for “Beyond Enemy Lines” will meet for the first time at a workshop in the German capital, graciously hosted by the Humboldt University. This will also be the first time the complete project team from King’s College London will get together, and we are particularly delighted that our two newly-recruited PhD students, Julia Vossen and Hanja Daemon, will be joining us on this occasion. For two days we will have the chance to talk to international experts about the cultural life of Germany immediately after the Second World War. We will investigate the many different ways in which cultural exchange took place between Germans and the occupying powers, and what effects this had on the cultural sphere of the countries involved. In order to get a clearer picture of this era, we will examine case studies of writers, filmmakers, photographers, and artists visiting Germany after the war (often as members of the former enemy’s armed forces). Comparing cultural policy across the British, American, French, and Soviet occupied zones will help us identify important differences and similarities in the ways individual nations drew on their cultural traditions to promote the notion of a democratic, peaceful Germany, which would no longer pose a threat to them. What better place to launch a project of international knowledge exchange on postwar Germany than Berlin? For much of the postwar era Berlin has been a microcosm of German, and indeed, world politics. 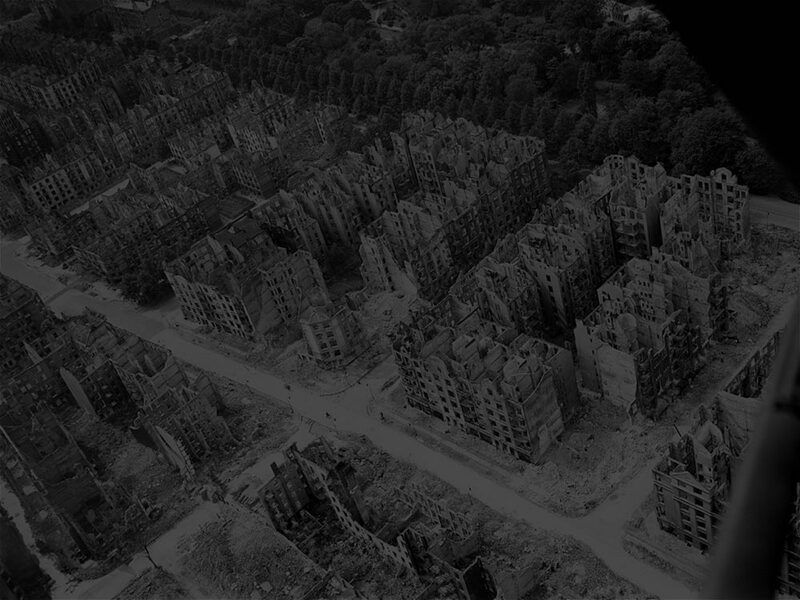 After Germany’s unconditional surrender in 1945, the city consisted of around 80 million cubic metres of rubble. Writing in his journal in 1948, playwright Bertolt Brecht called Berlin “an etching by Churchill, according to an idea of Hitler’s” [“eine Radierung Churchills nach einer Idee Hitlers”]. Just like Germany, the city was divided into four sectors in 1945, each under the control of a different power. 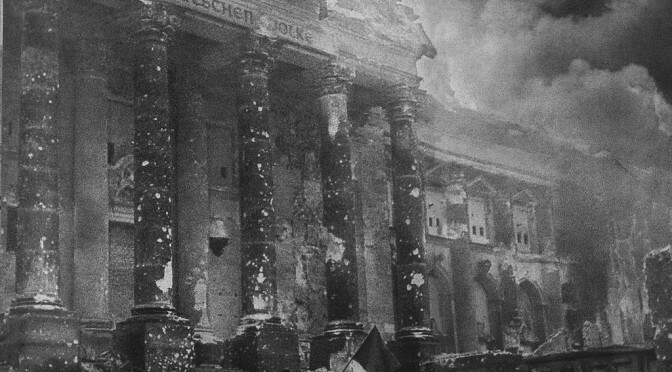 With sector boundaries so close to each other, it was in Berlin that similarities and contrasts between the Allies appeared most sharply, and bitter conflicts were carried out to determine which nation would dominate the postwar world order. Once these divisions had hardened, and particularly with the building of the Berlin Wall in 1961, Berlin became the physical manifestation of Cold War politics. 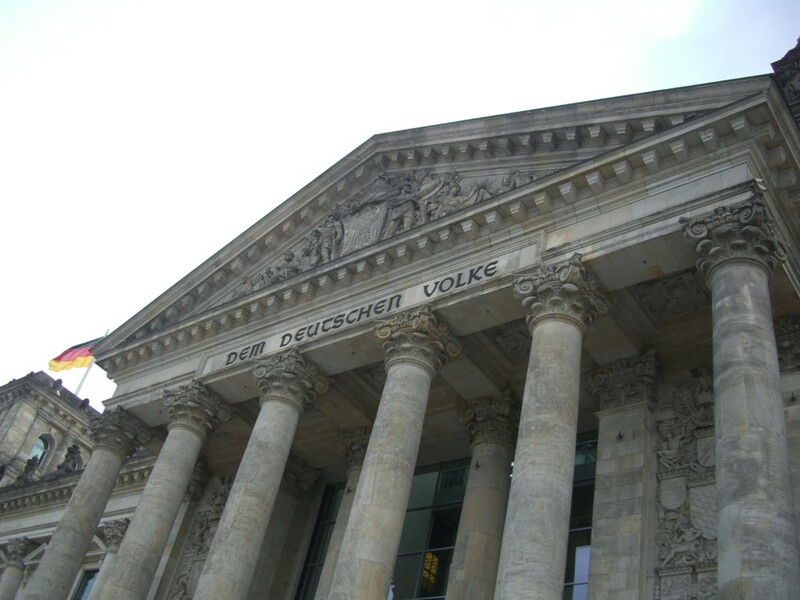 The Reichstag today, seat of the German federal parliament.